Throughout my health journey and living with autoimmune disorders and pre-existing conditions, I have been consumed by regimens, diet or meal plans, shopping lists, medications, vitamins, etc. And while I am FAR from perfect and certainly cheat now and again, and definitely don’t get the amount of exercise I would like, I have become pretty particular about what I put into my body, and most recently, what I put on my body. Many will treat the immediate symptoms and tackle these conditions head on with diets and exercise, but what we may not immediately consider are the products we are using on our external self: hair care, facial cleansers, body lotions, deodorants, and cosmetics. It’s been a journey and one that has taken me a few years, honestly, to work up to and to replace some beauty products that I had come to love and adore. My Mom has been so integral in this journey as well and has been one of my thought-leaders, researchers, and testers. Thanks Mom! Moms are the best… ya know?!? And together, we have found some products we BOTH love and adore that have easily replaced an old make up bag favorite. So, step inside my Green, All-Natural Beauty Bag complete with all my favorite, tried and true, and tested beauty products. I’m dishing on everything from shampoo to bar soap to mascara! We are talking head-to-toe green beauty. 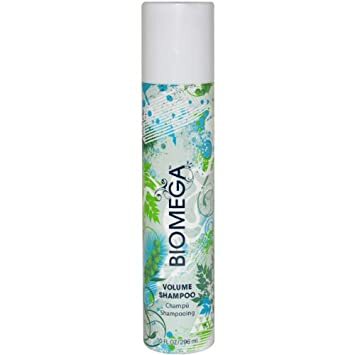 This amazing shampoo that I literally swear by is a lightweight and gentle formula that revitalizes thin, limp hair with a volumizing infusion of all natural ingredients like Gugo Bark Extract. And, it is Gluten, Paraben, Sulfate, and Sodium-Chloride FREE! Since I have been using this product, I can attest to the facts that my hair feels thickened from within, I have more fullness than ever, and my styles last longer also. Sometimes even 2-3 days! Plus, if you color your hair, this shampoo contains UV protectants to keep your color more vibrant and last longer. Called the Oh So Soap because it is “Oh so simple!” Comprised of mostly olive oil and mango butter, this luscious and super-cleansing bar soap is low-lather, extremely moisturizing, leaves no residue, and softens my skin while leaving it smelling fresh and not overly fragrant. No essential oils or colors or flavors added so that it is good for those that suffer from various skin irritations such as eczema, psoriasis, or dry, flaky, and itchy skin. This soap is also perfect for moms, babies, children, or 30 year old women too! A relative newcomer in my skincare lineup, but I am already so sold on these products! Called a “thorough acne-fighting trio, including cleanser, toner, and face oil. Drying skin to clear acne is simply a fast track to aging it, so our approach to acne is different. Packed with balance-inducing, infection-fighting ingredients, the Clear Trio banishes blemishes fast without drying. Skin is left clear, hydrated, and glowing.” And, in addition to those glowing remarks, this line fights infection, clears congestion, and restores balance to your skin. And, I can honestly say, my skin has never glowed quite like it does right now while ONLY using these 3 skincare products. Key ingredients include Green Tea & White Tea in place of excess water, Black Willow Bark Extract, and Helichrysum, an anti-inflammatory that is both antibacterial and antifungal. Check out the website linked above for more info, more details, and a great video for How to Use the products plus tons of testimonials! Let me start this shameless plug for natural deodorants by linking to this essay. Read it. For real though. Agent Nateur is a baking soda free formula specially formulated for those with sensitive skin with coconut oil, natural beeswax, jasmine, bergamot,and sandalwood. It’s non-toxic, non-GMO, and is a non hormone-disrupter. 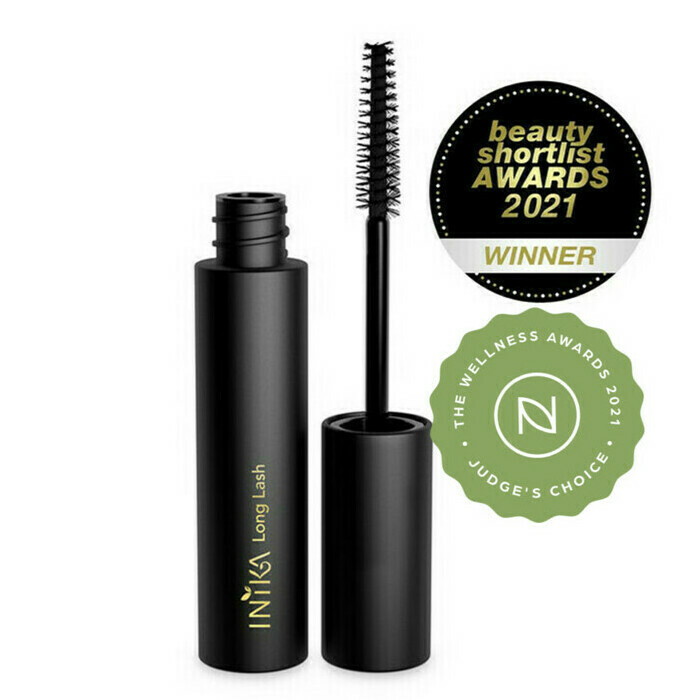 Helps to create length, volume, and great lash span with Inika’s Vegan Long Lash Mineral Mascara. This mascara also is formulated with Vitamin E,and so my luscious lashes get some conditioning during the day and I have experienced no clumping, no flaking, and no brittle lashes by the end of the day either! One simple product that I am such a crazy raving fan of! This stuff is a wonder… a great lip balm, a great post-procedure treatment or ointment for skin injuries or scars (cuts, scrapes, burns,and diaper cream), and soothes and heals dry and damaged skin and nails. One tube is in my purse and another lives on my bedside table. Restore is always within my reach! I am a big believer in a great lip stick. And finding a great, rich, flattering, and maximum wear green lip color was a bit of a process. But, Mom did a lot of the legwork in this process and tested many before recommending Kosas to me. Kosas is always free of parabens, phthalates, mineral oils, propylene glycol, synthetic fragrances, and are never tested on animals. Loving the Rosewater shade right now! Fabulous for summer and fall, but that Violet Fury shade is also calling out to me. So, that’s a little look into my make up bag, behind the doors of my bathroom cupboard, and beneath my bathroom sink. Hoping you find some inspiration in these above products and that you do some research on the products you currently use. Next up in my all natural beauty journey? Liquid eye liner and hair spray! You are on the right track! Love that eyeliner is next!